Wild Souls Ranch was founded by Savanah McCarty in 2012. She was inspired and driven to help the local "at-risk" youth in her community from her own experience with horses as a child who endured life's difficulties at a young age. She has shaped and formed the Wild Souls Ranch program around the tasks that made an impact on her as a former at-risk youth, and shaped her into the adult she is today. Grooming, mucking stalls, ground work, riding, manners, respect, and loving and caring for the horses as their own are all things that Savanah instills in her kids at Wild Souls Ranch. Savanah has first-hand experience with the systems of Humboldt County as a former foster parent, Case Worker for the local Tribal Social Services Agency, and a former advocate and staff member of CASA of Humboldt. She is proud to still be a CASA Advocate of Humboldt County, and a member of her local Kiwanis Chapter. Savanah works dilegently for Wild Souls Ranch to become successful in the community so that more and more youth may experience the healing power and love from horses. Dawn has co-founded an all-volunteer organization that provides homeless women with alternative health care support, worked for several drug rehabilitation centers, and served as Program Director for Humboldt Domestic Violence Services, just to name a few. Dawn has most recently worked as Executive Director for The Multigenerational Center in Fortuna. “I am so very excited about being a part of the Wild Souls Ranch Team as Operations Director. I had a lot happen to me when I was a young person, and my whole mission in life is to try to be the person I needed for others currently in need, combining my passion for working with families with my life-long crazy love of horses is really a dream and I'm grateful for the opportunity." Dawn holds an MA in Pre-Med, Anatomy, and acupuncture. She has worked for over 20 years in the nonprofit sector. Mariah Lewis was born and raised in Fortuna, CA, and has been with Wild Souls Ranch from the start in 2012. Starting as the Program Coordinator, Mariah's passion for event planning and donor relations made the transition to Development Director a natural fit. Most recently, Mariah moved from being the live-in care taker at Hillcrest Stables, where WSR was previously ran, to broadening her horizons in Del Mar, CA. Though across the state, she still works tirelessly to put on Wild Souls' three main annual fundraising events and working remotely on the organization development. In her spare time, Mariah enjoys hiking with her boyfriend and dog, and soaking up the sun on the beach in Southern California. Scully Powell is a Licensed Marriage and Family Therapist and a Board Certified Behavior Analyst who has been working with children and families for over 20 years. 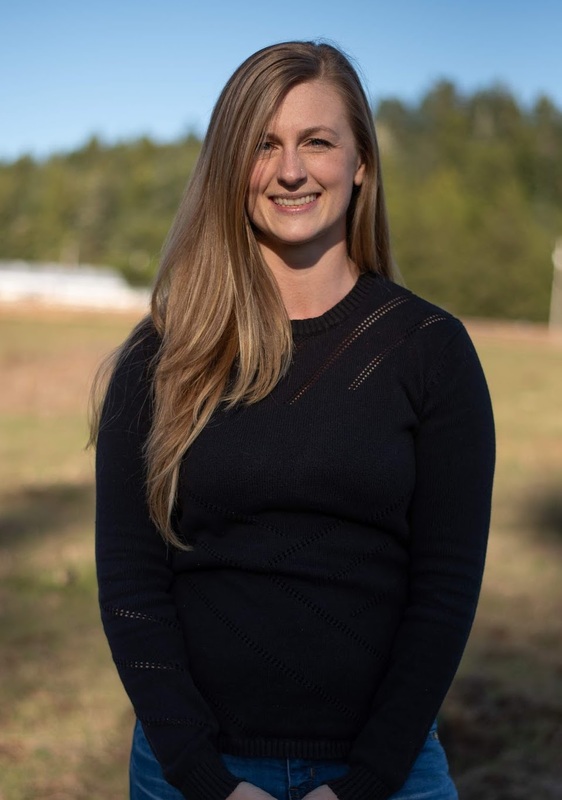 She has worked as a lecturer in the HSU Psychology Department and currently works for the Humboldt-Del Norte SELPA as a Behavioral Health Clinician in the Humboldt County schools. Scully has recently joined the WRAP team at Wild Souls Ranch, providing clinical services as an independent contractor. She believes in using a holistic and integrated approach when working with at-risk children and families in crisis. She is certified in Neurosequential Model of Therapeutics (NMT) and uses this neuro-developmental framework in order to help the WRAP team identify strengths and appropriate interventions to best meet the needs of the child. Kim Kowalski earned a Master's of Arts in Education from Humboldt State University and is a Board Certified Behavior Analyst. Kim has worked with families in their homes for 13 years, focusing on partnering with parents and caregivers to improve the quality of life for their child and family as a whole. Her goal is to teach adaptive skills while mitigating challenging behaviors using the principles of Applied Behavior Analysis. In addition to being part of the Wild Souls Ranch team, Kim has a private practice where she provides consultation and support to families and their children who have Autism Spectrum Disorder, developmental disabilities, or behavioral challenges. Holly Scaglione holds a Master's Degree in Social Work and has over 15 years experience working in the mental health and substance abuse field. Holly has been working with horses for 25 years and has been trained in Equine Assisted Growth and Learning by EAGALA as well as the OK Corral Series. She is a faculty member of the Department of Social Work at Humboldt State University and has been a practitioner of equine-assisted growth and learning since 2008. Clare Edwards was born and raised in Humboldt County. She is currently pursuing a bachelor’s degree in social work with an emphasis in early childhood development from Humboldt State University. Clare’s passion for working alongside children began at a young age, and her love of horses began at birth. She spent time with them alongside her grandparents on their ranch in McKinleyville, learning the joy of caring for them. 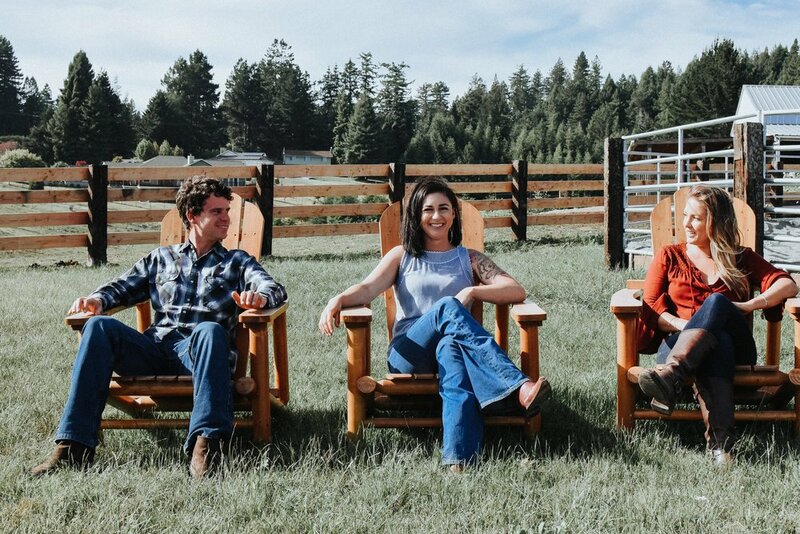 Through the department of social work at Humboldt State, Clare found Wild Souls Ranch and immediately fell in love with the work that was taking place in Humboldt County. As Clare continues to pursue her degree in social work, she hopes to work as a school social worker and impact the lives of children in a meaningful and purposeful way. Tessa Lawson began her career working with horses and children in 2008 at Rawhide Ranch. There she taught riding classes of 15-20 riders, started colts and trained horses for the ranch, equestrian vaulting, cart driving, Animal Science classes on horses, cattle, goats, sheep and poultry, as well as various other camp activities such as archery and riflery. In 2012 Tessa started Zion Riding Academy, a school that taught horsemanship lessons to all ages. She developed a 4 part curriculum that taught students fundamental equine knowledge. Later, she started Tessa Lawson Horsemanship that focused solely on training horses and starting colts. Both businesses held a waiting list for students and horses, repeatedly reaching capacity and expanding to larger facilities. She also owned California Equine Transport and hauled horses up and down California. In Tessa’s spare time, she loves spending time with her two young boys, exploring the beauty of Humboldt County with her dogs, playing guitar and singing, as well as gardening and making reined cow horses. Lindsay Luster has been in the saddle since before she could walk, born and raised in the Humboldt County cow town of Ferndale, CA. At just 18 years old she began her full time Assistant Trainer position at Wild Souls Ranch, with previous experience as an agency volunteer since 15 years old. After graduating high school, she worked as a Ranch Hand at Roaring Springs Cattle Ranch in French Glen, Oregon and also worked under local cow horse trainer, Molly Morrill-Bugenig assisting in her colt starting program. In High School Rodeo, Lindsay was 2016 and 2018 Reserve Champion in Reined Cow Horse. And in 2017 she was Champion in Reined Cow Horse, and Reserve Champion in Cutting, Pole Bending, and was top ten in the state for Reined Cow Horse and Cutting. 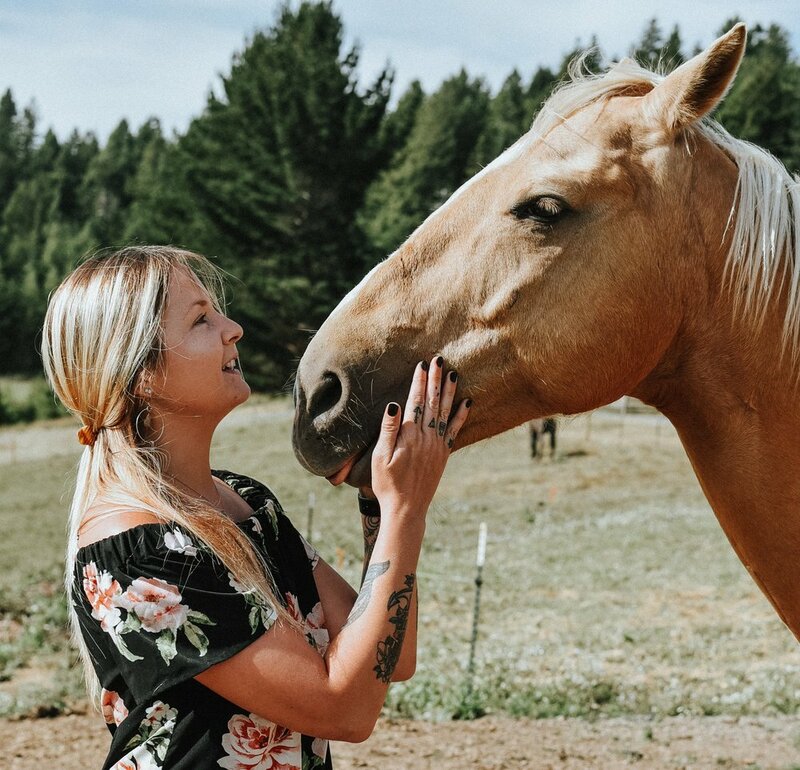 Lindsay is excited to bring her passion and love of horses and the art of horsemanship to the children and families of Wild Souls Ranch as well as spear head the new Colt Starting program for at-risk teens alongside Head Trainer, Tessa Lawson. My name is Christie Buckner, and I've ridden and loved horses since I could walk. My parents competed in rodeos, and my fondest childhood memories revolve around horses. I have competed in rodeos since I was 4 years old, and now compete occasionally for fun. While attending college to become a Dental Hygienist, I worked for a reining trainer in Southern California. This is where I became a student of the horse, and greatly improved my skills for working with young horses. I now work as a Dental Hygienist, and enjoy working with our 5 horses we use on the cattle ranch and for rodeo events. I continue to work with various horse trainers, and I love how there is always more to learn when working with horses. I have been blessed with a loving and supportive family, yet I was a bit of an outcast during grade school. During these tough years, I clung to my horses for a sense of stability, kindness, and a judgement free zone. Wild Souls Ranch immediately caught my attention because I know personally how horses can be a refuge during tough times. Horses are kind, sensitive, and a direct reflection of yourself. The lessons they offer are priceless, and this program will continue to change these children's lives for the better. My name is Madilyn Andersen, and I have been a part of Wild Souls Ranch for over 3 years now. I started as a youth participant in the program, and now I have graduated and am a Youth Mentor volunteer for other kids and a paid Ranch Hand. I came to the ranch not knowing what to expect, I knew nothing about horses. But after my first day I felt welcomed with open arms. Throughout my time at Wild Souls, I learned that the program is not about becoming a good horseback rider, it's about improving yourself as a person and working through your challenges with the help of horses. After just a few months I fell in love with the horses and started volunteering all of the free time that I had to help Savanah in any way that I could. I now want to help kids at Wild Souls Ranch the way that Savanah helped me. She accepted me for who I am and treated me like her family. She is always a shoulder to lean on, and she has taught me the love and respect she has for horses. I am so grateful to be able to come to Wild Souls Ranch!